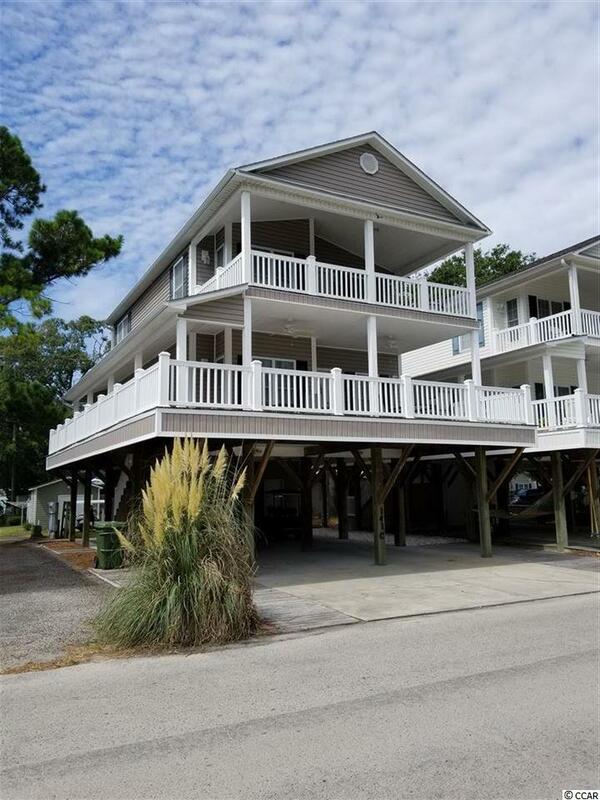 Spectacular 4 bedroom, 3 full bath raised beach home in the award winning Ocean Lakes here at site MH-141C. If you are looking for the best of the best then this is the home for you. There are way too many extras to list them all but let me try. 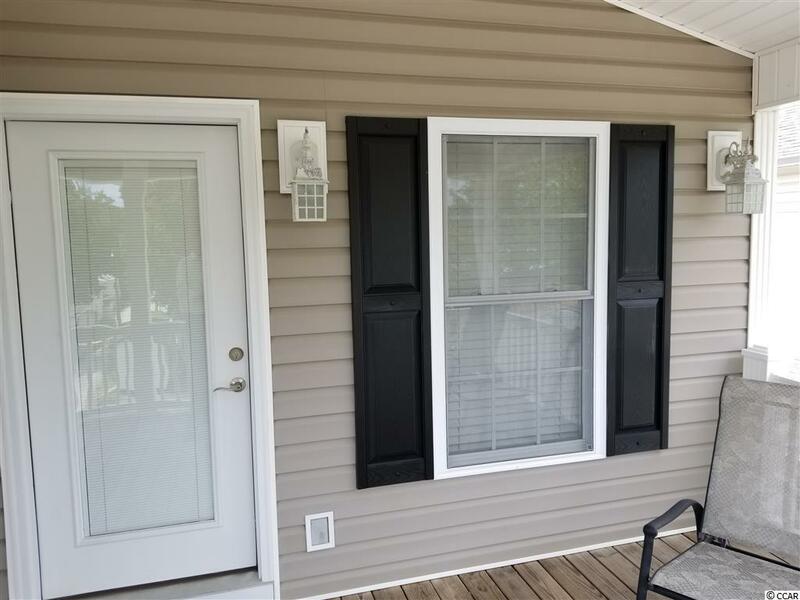 Custom kitchen cabinets with ceramic tiled counter tops, under and over cabinet lighting, smooth ceilings throughout, two master bedrooms with one on each floor, vinyl double hung windows, covered entry steps and even more. All flooring downstairs including all bathroom floors are ceramic tile. The three large bedrooms upstairs are carpeted. The master bedroom downstairs features a smooth ceiling with crown molding and a ceiling fan. The master bath has a tiled shower and two closets with one being a walk-in. There is also a separate entry door to this bathroom so you can come right off of the deck and into the bathroom without having to travel through the living area. The master bedroom upstairs features a seating area and access to your own 12 x 24 covered porch. You are sure to love the extra large deck on the first floor of the home. The deck is 18 x 32 across the front with 12 x 29 of it being covered to protect you from the elements. The side deck is 8 x 24 which allows coverage for the entry steps. 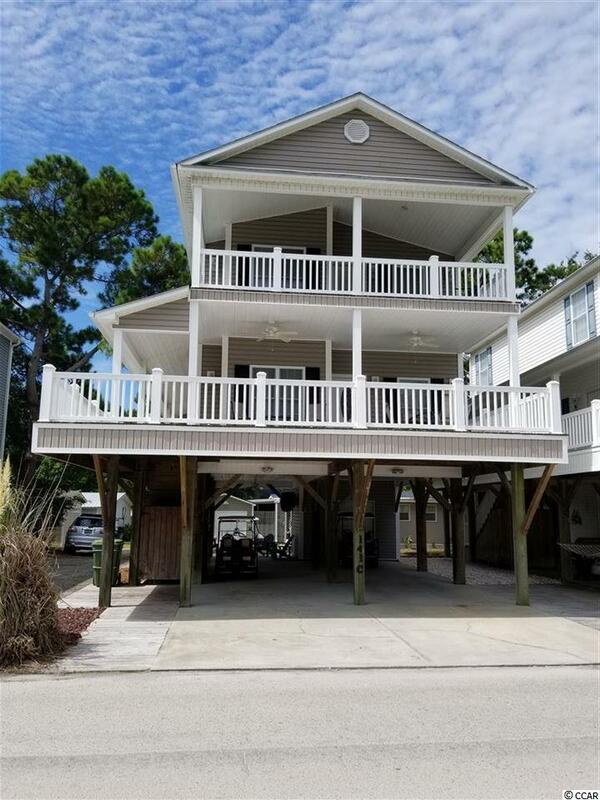 There is plenty of parking underneath the home and a 12 x 10 shed is included for golf cart parking and beach belongings. You can even shower outside as the the outdoor shower has hot and cold water. You will also find here a relaxing area set aside under the home complete with a ceiling fan and TV hook up. The home is being offered with many items of furniture and the golf cart may be negotiable as well. This property has not been used as a rental but could be used as one if desired. Are you familiar with Ocean Lakes? Ocean Lakes is a 300 acre ocean front complex with 24 hour security. 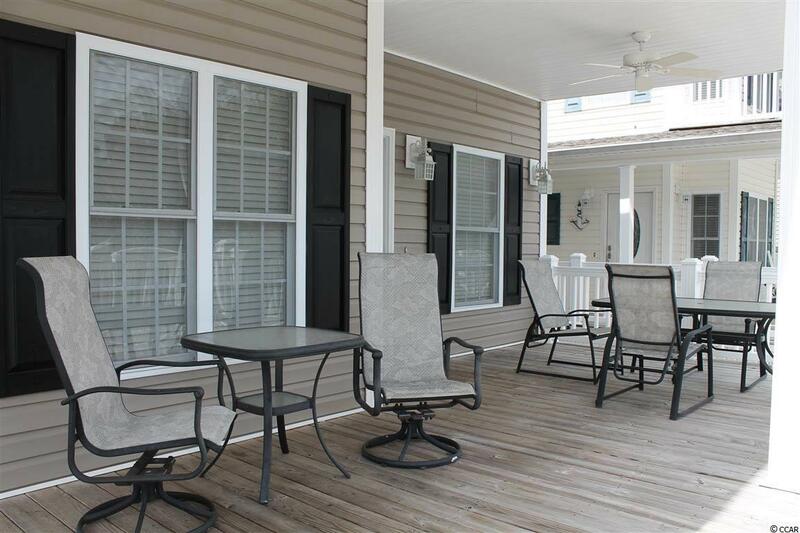 You are sure to love all of the amenities that Ocean Lakes has to offer. Some of the amenities included are an indoor and outdoor swimming pools, basketball courts, volleyball, shuffle board, horse shoes and much, much more. There is an awesome water park complete with lazy river and slides for all owners and guests to enjoy. Short term rental is allowed in Ocean Lakes. Please do not miss this property. View today. Square footage is approximate and not guaranteed. Buyer is responsible for verification.